Andrea Levy’s epic, Orange Prize-winning novel bursts to new life on the Olivier stage. A company of 40 tells a story which journeys from Jamaica to Britain, through the Second World War to 1948 – the year the HMT Empire Windrushdocked at Tilbury. 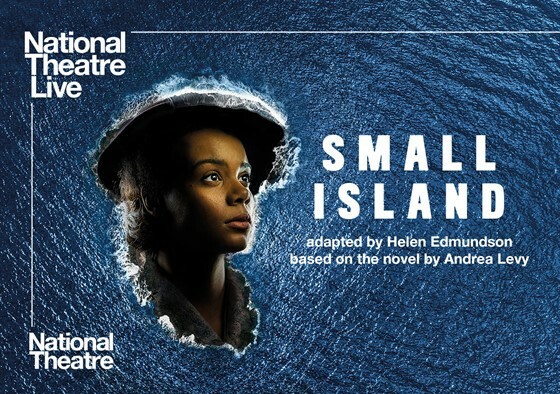 Adapted for the stage by Helen Edmundson, Small Island follows three intricately connected stories. Hortense yearns for a new life away from rural Jamaica, Gilbert dreams of becoming a lawyer, and Queenie longs to escape her Lincolnshire roots. Hope and humanity meet stubborn reality as the play traces the tangled history of Jamaica and the UK. This production includes an intermission. The Friday 7/26 screening features English subtitles as part of our accessibility initiative.